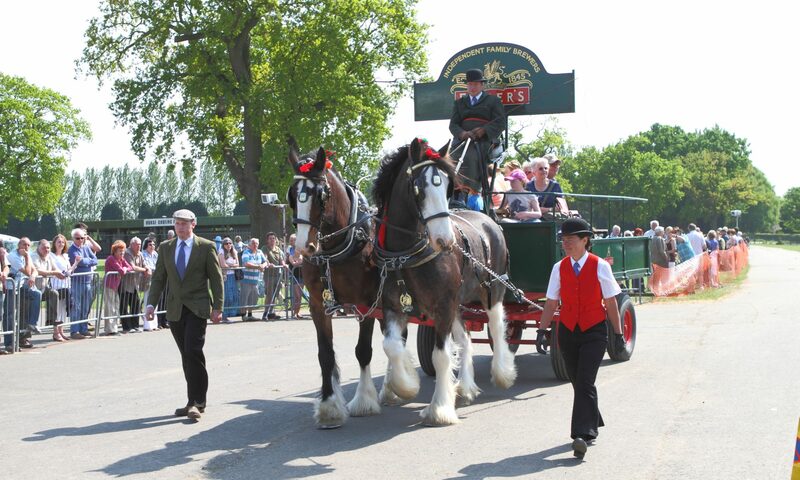 The famous London Harness Horse Parade will again take place at the South of England Centre, Ardingly, West Sussex on Easter Monday 28thMarch 2016. The annual event is an amalgamation of The London Cart Horse Parade (first started in 1885) and the London Van Horse Parade (started in 1904) and depicts transportation through the ages. The parade Committee is pleased to announce that 2016 will be the 50th Anniversary of the amalgamation of the London Cart Horse Parade and the London Van Horse Parade which combined in 1966. To celebrate this Anniversary, a special commemorative brass will be issued together with special rosettes. In addition, the entry fee of £25. (which has remained at the same rate for the past seven years) will be REFUNDED to all those exhibitors who attend with their turnouts on Easter Monday, 28th March 2016. This refund will be made in 2016 only as part of the Anniversary celebrations.